When struggles turn to tragedies and they don’t seem to stop, do you still choose to keep trusting God? Fiona shares. It’s been a fairly difficult start to this year for me. I have been dealing with more pain, with fatigue, maybe even some other things I don’t yet fully understand. Some days have been better than others–sometimes it seems my body is responding to things we try. Others, it seems, like I’m fighting a losing battle. Growing up, I would have said that my favorite verses in the Bible were these from Proverbs 3:5-6. That was all long before my life became more challenging. I believed I was living out the command to “trust God completely” (as The Living Bible words it). I don’t think I had much idea . . . then. When life is relatively easy, when there’s no particularly difficult challenges to face, it can be easier to trust that God is in control and that He’s directing our paths. But what about when bad things happen–accidents, illness, unemployment, death of loved ones, or whatever challenge it may be. What about trusting God then? In church one morning, the pastor was speaking on “What to do when life doesn’t make sense” and quoting these well known verses. He exhorted us to trust the Lord completely–with all your heart–not just part of it, or sometimes, when nothing else seems to work. Just trust Him with it all. Over the years, even through some dark days, I think I’ve always believed that my faith helps me to know that life does make sense. Even when it’s still hard, when it hurts so bad–God is in control and so it makes sense, even if I don’t understand. Maybe somewhat ironically, it’s the difficulties and challenges in my life that have taught me to trust Him more. God doesn’t let me down. He can be trusted. Prayer: Lord God, I want to continue to trust You, even when I don’t understand, when things are hard or painful. Thank You for the challenges in my life, that have taught me to trust You more. Thank You that, with You, my life makes sense. Amen. Have the challenges in your life since chronic illness caused you to trust God more completely than you once may have? Or is it harder to trust Him now? Glad it was timely for you Nancy. It’s been a really tough couple of days with something I’m dealing with. I’ve prayed & prayed, & read the Word, & released the situation to God, & read devotionals etc. I still didn’t have a peace in my heart. Then your devotional appeared & I read the verses & nearly burst into tears, as they have been my life verses since 2003 (I had others prior to that)! I immediately felt a sense of peace & that God was speaking to me & also reminding me that I wasn’t fully trusting Him. God’s timimg is awesome with just what we need at just the right time. Glad these thoughts could help you dear friend – you are certainly not alone in your 10001!! ? Yes, His peace is like nothing else – so glad it’s there waiting for us in the middle of the night! Timing is everything with God – just look at the replies coming in, in regards to your share.. It hurts. It hurts to hurt! It hurts watching our loved ones suffer as we suffer..
“Maybe somewhat ironically, it’s the difficulties and challenges in my life that have taught me to trust Him more”. That’s exactly why He allows travail ! “Through many tribulations we must enter the kingdom of God”. …As concerned as God is for our physical comfort and well being, His main focus is on our spirit- our soul, if you will. The body will return to dust, and we won’t have to worry about the next one he gives us- perfect, and complete.. BUT, “what profits a man to gain the whole world and lose his own soul”? I believe that all who call on the name of the Lord, will be saved, I also believe there is an inner circle with Christ, that only few will know. And it’s through suffering and turmoil – holding fast to our faith that he loves us and allows it for a reason- all the while giving him the praise He is worthy of. Take heart my fellow sufferers in Christ; we’re just passing through, and “.. no eye has seen, no ear has heard, and no mind can comprehend, those things our Father has in store for those who love Him”. Thanks for your comments Robert. We are certainly on a learning journey! Fiona, you have blessed me again! I am going through a terribly hard time, such pain and fatigue. I cannot sleep over 3 hours at a time because of the pain that wakes me. I go to my recliner chair at night when pain gets too big, and pray. 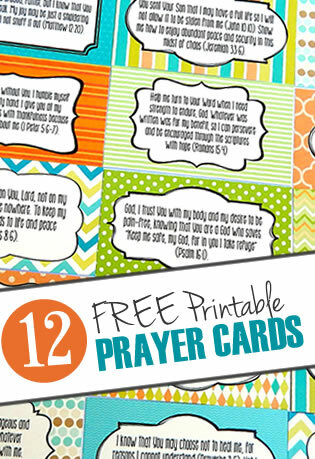 I read my Bible and write out my prayers…resting in Him. I know this flare will end, I trust in His love for me. Sandy, sorry things are so hard at present. Praying you can rest well as you keep on trusting Him, dear friend. This was a blessing to me as well! Thank you for sharing this devotional with us. My hard trials and disease have definitely helped me to trust and lean on Him more. He is Sovereign and the One who died for us can be trusted! Knowing God is sovereign makes such a difference doesn’t it. Our Pastor uses a phrase similar to what you shared – “the God who planned Calvary, can be trusted”. Thank you, Fiona. I find that trust is hard even though I know that God is in control. As my condition gets worse and there is not much in the way of help it can get even more frustrating. But I’m thankful that I can trust God to be with me through the pain and struggles and that one day I will be home with Him where there will be everlasting joy. 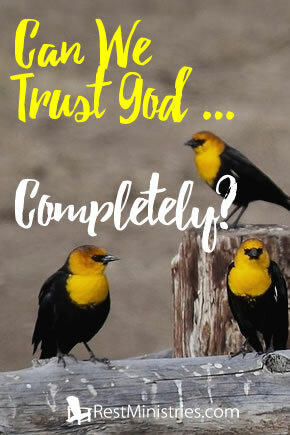 I know we often feel we are finding it hard to trust, even when we know God is in control – but I sometimes look at others facing challenges with no faith and am reminded that we are blessed to have someone to trust in for our own situation, but we are living into that trust every day as we’ve learned we can’t do this alone. Imagine the party we are going to have when we reach that “everlasting joy”! !